The second conference for AI researchers and Data Miners initiated by Max Polyakov was held on February 18, 2017 in Dnipro. The event brought together 250 participants, among them were analysts, mathematicians, developers, product-managers, experts and beginners who are involved with AI and Data Science. Participants had an excellent opportunity to learn through presentations on Data Analysis, Machine Learning, Neural Networks, and Deep Learning. Moreover, the organizing team recorded interviews with the speakers, who suggested what future trends may be and gave some advice to the Ukrainian AI community. AI Rush 2017 was honored to have Oleg Tishutin and Vadim Antonuyk from IPONWEB attend, and who delivered special presentations for the first time in Ukraine. “I really appreciated everything organizers did! 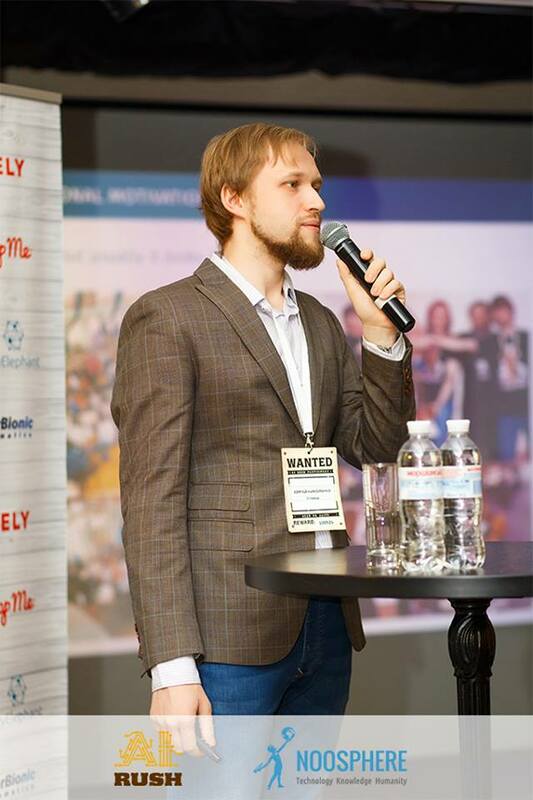 After I told my colleagues about this event, they expressed the desire to take part in the next conference as speakers and participants,” said Vadim Antonyuk, TL, Anti-fraud team at IPONWEB. A mind-boggling webinar with Michal Kosinski, Assistant Professor at Stanford Graduate School of Business, was more than just icing on the cake. Being a leading specialist in Psychometrics, Michal developed a method to analyze people in minute detail based on their social media activities jointly with researchers from Cambridge University. According to the most widely discussed Das Magazin article, this method has been considered the keystone of Brexit and Donald Trump’s victory. Nevertheless, Kosinski gained considerable fame as a psychologist and data scientist long before his front page story in Das Magazin. In 2013, Kosinski was listed among the 50 most influential people in Big Data by DataIQ and IBM, while three of his papers were placed among Altmetrics’ “Top 100 Papers That Most Caught the Public Imagination”. Another talk by Michal Kosinski shed light on studying humans through the lense of digital footprints left behind while using digital platforms and devices. He discussed how samples of text, Tweets, Facebook likes, or web-browsing logs could be used to accurately measure a wide range of traits including personality, intelligence, and political views. Michal pointed out the advantages of his tool to revolutionize psychological assessment, marketing and recruitment if used ethically. “I gave a talk before a Ukrainian audience for the first time, but I was totally amazed by the pertinent and sophisticated questions participants asked,” said Michal Kosinski. It goes without saying, AI is one of the fastest growing fields nowadays. AI startups and technologies continue to spring up, letting companies around the world take advantage of them for IT, Marketing, Finance & Accounting, and Costomer service. Association Noosphere is also eager to follow these trends and support the Ukrainian AI-community by establishing a platform for beginners and specialists to share their knowledge, discuss practical issues and keep up with hot topics. Check out all the photos from AI Rush on the event page. Be sure to follow Noosphere news on social media.